Kim Jong Nam was born 10 May 1971. He is the son of Song Hye Rim (So’ng Hye-rim). Song was born in January 1937 in ROK to family that moved north during the Korean (Fatherland Liberation) War. She was a leading actress at Korea Film Studio when she was re-introduced to Kim Jong Il in the late 1960s (they had previously met when Song performed at KJI’s school in the 1950s). She divorced her husband and gave birth to Jong Nam while residing with KJI. Jong Nam grew up in two of Kim Jong Il’s personal residences in central and east Pyongyang with his maternal relatives. 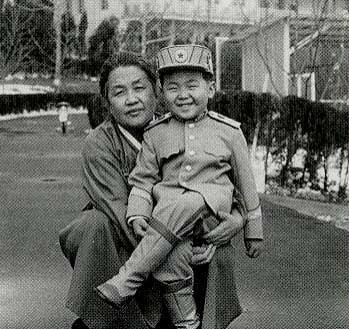 In his early childhood he was regarded as a secret child due to Kim Il Sung’s personal disapproval of the KJI-Song relationship which would have been exploited by Kim So’ng-a’e (KIS’ second wife) and other opponents of KJI’s succession in the 1970s. Jong Nam received his education at home with his maternal grandmother Kim Wo’n-chu and his maternal aunt, Song Hye Rang. He left the DPRK to live his mother and maternal grandmother in Moscow in 1979. Kim Jong nam spent most of the 1980’s shuttling between international schools in Moscow and Geneva. He left Moscow the first time after expressing personal discomfort with the sanitary conditions of the school bathrooms. He moved back to Moscow in 1984 then returned to Geneva in 1985. He also studied at Geneva University prior to his return to the DPRK in 1988. During his time abroad Jong Nam learned French, English and German. He studied political science in Switzerland prior to his return, and also became interested in computer science. Jong Nam did not receive a university education upon returning to his home country. In the 1990s he worked as a cadre in the Ministry of People’s Security. Jong-nam was tied to Chang So’ng-taek and Kim Kyo’ng-hu’i, as they served as the key operatives who supervised economic inspection activities. He later worked at the Ministry of Public [People’s] Security. Jong-nam was tied to lenient policies in migration/border cases. In 1998 Kim Cho’ng-nam was appointed to the DPRK Computer Committee, where he was responsible for a number of technology initiatives. He also facilitated use of the DPRK’s intranet for civilian use. 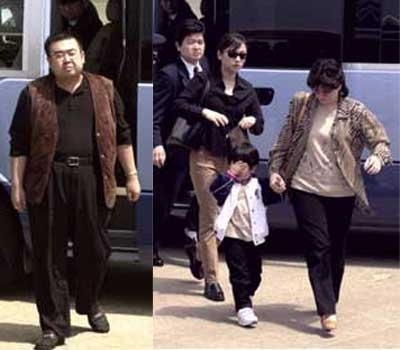 In 1995 Jong Nam married his first wife, Sin Jong Hui and she gave birth to Cho’ng-nam’s oldest son, and Kim Jong-il’s first known grandchild. In May 2001, Cho’ng-nam, his son, wife and wife’s cousin were detained at Narita Airport in Tokyo. Cho’ng-nam and his party were caught attempting to enter Japan with counterfeit passports. Jong Nam told Japanese authorities he entered the country to take his family to the Tokyo Disney Resort. Kim Jong Nam and his family took up residence in the PRC, residing in Beijing and at a Kim family home in Macau. In 2001 and 2002 he commuted between Beijing and Moscow to visit his mother whose health was failing. Song Hye Rim died in Moscow in May 2002 where she is buried. Kim Jong Nam currently commutes between the DPRK and PRC. The widespread perception that Jong Nam has been effectively exiled from the DPRK since 2001 is not accurate. Like his father before him, he reportedly has at least six (6) children with several different women with whom he resided at various points in his life. Kim Jong Nam’s children have received their education in China and the DPRK. Jong Nam was linked to Kim Jong Il’s Personal Secretariat, where he managed some of his father’s personal and financial affairs outside the DPRK and was a regular source of information, opinions and international contacts. In 2008 Jong Nam traveled to France to hire a physician to treat his father’s cerebral hemhorrages in July and August 2008. Jong Nam maintains close relations with his uncle and aunt, Jang Song Taek and Kim Kyong Hui, and regularly communicated with his father Kim Jong Il until KJI’s death in December 2011. 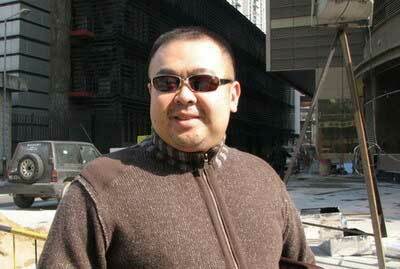 In December 2011 Jong Nam flew on a chartered flight from PRC to Pyongyang to attend his father’s funeral. Jong Nam also maintains contact with numerous DPRK elites, both those who reside in the country, and the elite expatriate community in Europe and Asia. In October 2011 Jong Nam’s eldest son, Kim Han Sol (Kim Han-so’l) enrolled at the United World College in Mostar, Bosnia. This occurred at the same time as a DPRK trading corporation began operating in Bosnia. He later gave a brief interview with Al Jazeera. In October 2012, Kim Han Sol participated in a media interview with former Finnish Minister of Defense and former UN Under Secretary-General Elisabeth Rehn. 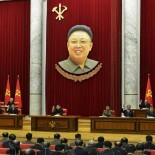 During the interview, Kim told Rehn that he had never met his grandfather (Kim Jong Il) or his step-uncle Kim Jong Un. Kim Jong Nam travels to a number of Asian and European cities where he has interacted with his classmates from his time in Switzerland, Korean tourists and journalist. Since the mid-2000s Jong Nam has maintained an email correspondences with several foreign researchers and journalists. In 2012, a book of email correspondences and interviews with a Japanese journalist was published. Asahi TV interviewed the 38-year-old in Beijing on Saturday, the day before his brother, Kim Jong-un, debuted as the country’s successor during a massive military parade in Pyongyang. Kim, who reportedly fell out of favor with his father for his wayward lifestyle, said he had no interest in taking power himself, saying that it was his father’s decision to tap his brother as heir. Jong-nam, who reportedly lives in Beijing and Macau, said he would be happy to offer his help if his brother were to need it, from overseas.